Videos are a great way to sell and inspire customers and investors. The better the story, the more memorable the words and pictures, the more likely you are to be effective in a crowded marketplace. That's where I come in. WHY HIRE ME FOR YOUR VIDEO SCRIPT? Your video needs to stand out from the rest. It needs to capture, inspire and convince people that you are the best option. I’m a very experienced TV and Video scriptwriter and I know just how to do that for you. I have 30 years of experience working on launches and campaigns for some of the biggest brands to prove it. I'll need background info and any support materials you have. The main thing I need from you is for you to write down all the things you want to say, all the points you want to include, what is so good about your product. After all, you are the expert on your business, I am an expert on creating compelling video scripts. I'll create the initial script over 2 to 3 days and get it to you for feedback. Then I can proceed to deliver a production ready script for your outstanding crowdfunder video. Couldn't be more satisfied. Best on his thing, recommend to all! Thanks Vincent. It's been and absolute pleasure working with you. Anytime. Good luck with the application. Please let me know if it is successful. Great work again, good quality work delivered quickly. Thanks David. Very professional and great guy! Delivered a very strong script for our pitch video and always on time! Pleasure to do business with! Thanks Vilhelmas. You are a star! Excellent work, much better than I expected. Good communication & delivered quickly. David is a true professional. Hope to business again in the future. 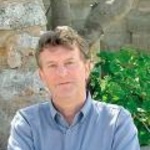 David is one of the most experienced advertising copywriters and video scriptwriters in the UK. He specialises in corporate and luxury brands, and has worked at top UK agencies and...Read moreDavid is one of the most experienced advertising copywriters and video scriptwriters in the UK. He specialises in corporate and luxury brands, and has worked at top UK agencies and on leading consumer and business brands, with many campaigns and TV commercials to his credit. Summary: Senior writer positions at leading advertising agencies. All media - online, print, press, TV. Brand experience includes Marriott Hotels, Tesco, Mitsubishi, O2, Intel, Wales Tourist Board and Lloyds TSB. Specialist areas Travel, Automotive, Food, IT, Finance, and Property.